The softer side of Aries emerges, and wait, is that an apron you’re tying on? This week finds you laying down your sword and adopting a more nurturing MO. A so-called rival could prove to be your greatest ally as a result of your peaceful approach. Greet the world with an open mind and heart, and you’ll be pleasantly surprised by who blasts away your preconceived notions. Your snap judgments have gotten you in trouble in the past, Taurus, and have certainly caused you to miss a few great opportunities. This week’s planets teach you tolerance. When people tick you off, watch your initial response arise but don’t react to it. Instead, breathe, and ask questions. Seek to understand. A perspective that seemed threatening to you last week could be the key to enlightenment now. You might even go out of your way to initiate dialogue with the people you’ve been assiduously avoiding. Take a break from multitasking this week and focus on one thing at a time. Being powerfully present with each action item on your to-do list can help you reach a new level of mastery since you won’t keep missing all those nuances the way you do when you’re distracted. Keep all bleeping gadgets zipped in your purse when you’re hanging with a friend or on a date. You can go so much deeper into discussions when your train of thought is not constantly interrupted by another person’s texts. Moodiness can be your sign’s MO, but with planets forming a rare six-pointed star this week, you’re able to relax into a far more stable groove. Step off the emotional roller coaster and away from the friends who ride it. You’ll be drawn to a more peaceful posse now. Head to yoga instead of cocktail hour; meet friends for a walk instead of letting drama fester because you’re all a little stir-crazy. The Leo Show is a fascinating performance to behold, but make sure you share the spotlight, too. Use your clout to help someone younger and greener gain ground. Your endorsement may be the very thing that sets her career in motion. Beware the “now back to me” syndrome when hanging out. Letting a friend finish her story without interjecting a tale from your memoirs is a sign of honor and respect. The fact that you can get neurotic sometimes is hardly a secret, Virgo, but this week’s planets help you find some inner calm. There’s just one hitch: You have to walk through your fears in order to let them go and get to the other side. Call upon friends who have already been through a similar situation (and have come out successfully). Let them guide you through the emotions that arise. Believe it or not, these feelings will not destroy you — quite the contrary. Letting them out will set you free. The road to hell is paved with good intentions. Stop trying to do the “right” thing this week, Libra, and focus on the solution that makes the most sense in your life. You might have to disappoint someone in the process, which is never easy for your conflict-averse sign. Still, would it be better to let him labor under a delusion? The truth shall set you both free, even if delivering it brings some awkward moments, or a few tears. You will get through this. Romance and travel are happy bedfellows for Scorpio this week. A sultry getaway à deux could be just the thing you need to revive the loving feelings with your one and only. Single? Pack a suitcase with those skin-baring numbers and head somewhere with a high flirtation quotient. Don’t get hung up on meeting a life partner. Sometimes, a summer fling is the first step in getting your mojo back up to speed. Too much of a good thing can leave you reeling and off center. Don’t overstuff yourself this week — but don’t deprive yourself, either. You require moderation now, Sagittarius, which means feeding yourself a steady but portioned stream of what you desire. Whether it’s your favorite decadent pork loin dish, lounging in bed with your summer love, or your penchant for pricey vintage collectibles, indulge responsibly. Put down that one-year plan and make this week about following the signs the universe is sending you. It can be tough for control freak Capricorn to let go of the wheel like this, but here’s the twist. When you surrender, you find that you’re in the natural flow of life (as opposed to struggling and swimming upstream). Meditation, yoga, even taking gadget-free walks, will help you observe your surroundings with deeper clarity and insight. Turns out, you’ve been overlooking the obvious! Give the armchair-revolutionary schtick a rest. If you truly want to make a difference, action is required. So, Water Bearer, why are you so fired up about this particular issue? In addition to doing some activist or volunteer work, examine your personal motives. This one hits home for an emotional reason, too. A session with a therapist or a long talk with a supportive and empathetic friend can help heal the hurt you may be feeling. Although you can see both sides of the story, this week is about focusing on your own needs and desires. It’s not selfish; it’s self-preservation. By the same token, don’t expect other people to necessarily like the decisions you make. Be compassionate to their struggles but don’t veer from your path just to placate or please them. Identical twin sisters Tali and Ophira Edut — known as The AstroTwins — are professional astrologers with over 15 years experience in astrology, publishing, and coaching. Their columns and predictions reach millions every month. The AstroTwins are the authors of The AstroTwins' Love Zodiac: The Essential Astrology Guide for Women (Sourcebooks) and Shoestrology: Discover Your Birthday Shoe (Random House). Tali and Ophira have read charts for celebrities including Beyoncé, Stevie Wonder, and Sting. Their astrological insight has been featured by MTV, The New York Times, The Style Network, and E! News. They also appear as regular guests on SIRIUS/XM Radio, giving advice to callers each month. As the co-creators of Astrostyle, the AstroTwins help clients and readers "de-sign" amazing lives with their unique, applied method of astrology and coaching. 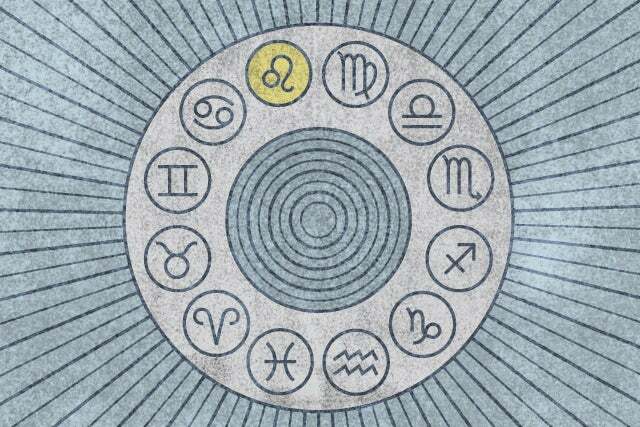 They are available for private astrology readings by phone or in person.